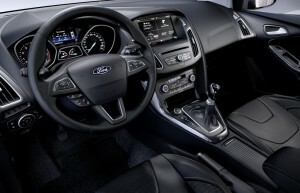 The wait is over for the new Ford Focus. The latest generation model is now available at Ford dealerships across the country – and we got a chance to take it for a spin at its Irish launch in Dublin. The new Ford Focus is being offered in a choice of petrol and diesel engines, including the 1.6 litre (95PS and 115PS) and 2.0 litre diesels (150PS) and the 1.0 litre EcoBoost petrol (100 and 125PS). 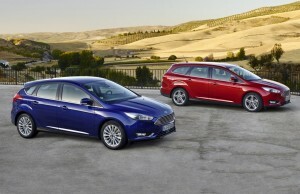 Three body types are available – the five-door hatchback, the four-door saloon and the five-door estate – in a choice of four trim levels. Standard specification in the entry level Focus include electric front windows, anti-allergic interior, Hill-Launch Assist; MyKey Gen 2 and tyre pressure monitoring system. Move up to the Style trim, and you also get air conditioning; the Ford SYNC infotainment system; electric heated door mirrors; leather gear knob and 16in alloys. The Focus Zetec trim, meanwhile, adds sports-tuned suspension; front fog lights; premium centre console with arm rest; quickclear windscreen and sports-style front seats. And the top of the range Titanium trim includes cruise control with speed limiter; dual-zone auto temperature control; electric front and rear windows; 16in Titanium alloys and front and rear LED reading lights. Driver aid options include the advanced ‘perpendicular parking’ park assist – the hands-free parking technology that helps drivers reverse into spaces. The same sensors are used in Cross Traffic Alert, which warns motorists reversing out of a space of vehicles that may soon be crossing behind them. Park-Out Assist, meanwhile, helps drivers to get out of a parallel parking space. There’s a busy year ahead for Ford Ireland, with a new C-Max on the way this spring, a new S-Max and Galaxy in the summer and the arrival of the much anticipated Mustang in the autumn. The Focus ‘halo models’, the Focus ST and RS performance cars are also due in the coming months, with the ST in showrooms next month. Ford had the third highest car sales in Ireland last year, behind Volkswagen and Toyota, and Ford Ireland managing director Ciaran McMahon is hoping these new models with change that 1-2-3 placement in Ford’s favour this year. He is also confident of the enduring popularity of the new Focus, which has sold more than 115,000 units in Ireland since its launch in 1999. He said: ‘With its sleek new look, this new Focus is a real head-turner and as you would expect, it has the same fun driving appeal that we have come to associate with Focus. We got the chance to take the 1.6 115PS diesel Zetec hatchback, the 1.0 EcoBoost 125PS Titanium petrol hatch and the 2.0 Diesel 150ps Titanium automatic for a quick spin and our first impressions of all are very positive. All handled well in urban conditions, with great drive through the gears on the motorway. The cabin too has had a sophistication overhaul with perhaps the most obvious change the optional sleek 8in Sync 2 colour touch screen replacing the buttontastic infotainment unit of previous generations. I also liked that the air conditioning controls are separate, physical buttons on the centre console. The cabin is spacious, seats are comfortable, the boot in the hatchback variant is generous and I loved that the armrest in the centre console was positioned to be useful rather than a hindrance. However, as always, we’ll reserve judgement until we’ve had the car on a full test drive. 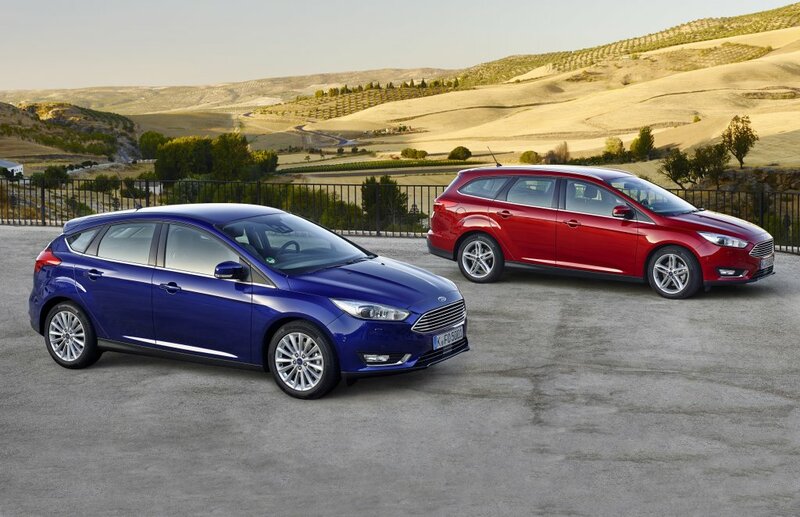 The new Ford Focus is available now, with prices starting from €20,295.